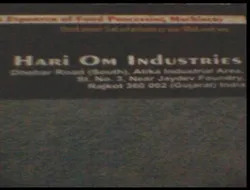 We, "Hari Om Industries", established our operations in 1990, as the eminent Manufacturers, Suppliers, Exporters and Wholesalers of high quality Almond Cutting Machine, Banana Chips Making Machine, Circular Fryer, Coating Pan, Dry Fruits Cutting Machine. We have always aimed to offer the best and efficient products while catering to the diverse needs of our clients on time. Never compromising with the quality of our products, we are determined to produce robust and highly functional products. Our products are widely used in the food processing industries. Our product range comprises of potato chips making machines, potato chips machines, dry fruits cutting machines and multipurpose machines. A huge credit in our success goes to our strong and skilled workforce which has supported us in catering the diverse needs of our clients in the best possible manner. We have established a world class infrastructure that consists of all the latest and innovative machinery based on the trends in the market and upgrade ourselves from time to time. We export our products to different parts of the world, some of the countries where we export our products are South Africa, Bangladesh, Dubai, Kuwait, London, USA, Los Angeles, Toronto, Zambia, Uganda. We have been serving from a long time and are well aware of the type of demands made by our clients. We have always been successful in maintaining the quality of our products and their prompt delivery to a wide array of our clients. Our key clients include Balaji Wafers Private Limited, Haldiram Products Private Limited and Bikaner Foods. We are a proprietorship firm under the magnificent leadership of "Mr. Bharat Rathod". His guidance and consistent motivation has boosted us to maintain our impressive track record. We are highly ethical in our business dealings and aim to expand our business in the near future. 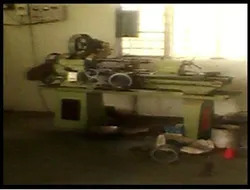 Manufacturing, Trading, Importer and Exporter of Food Processing Machines. Being a pioneer in the food processing industry for our machines, we have always had the competitive edge over our contemporaries. We have worked on this advantage and several other strengths of our establishment to capture the lions share of business in the industry. To handle all the manufacturing and export functions of our company, we have established a team of prolific professionals. These professionals are highly trained in their domain and have years of experience in the food processing industry. Our team includes qualified engineers, technicians, quality controllers, research analysts, marketing representatives, procuring agents, administrators, managers and skilled workforce. 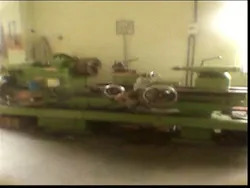 The engineers and researchers work in tandem to develop a new range of machines like ball grinding mill, steel ribbon blender, spice grinding mill, and industrial ribbon blender. The quality inspectors are responsible for conducting regular and strict checks of the products before they are dispatched to the customers.